Need an idea for your bnai mitzvah project Resources abound – J. 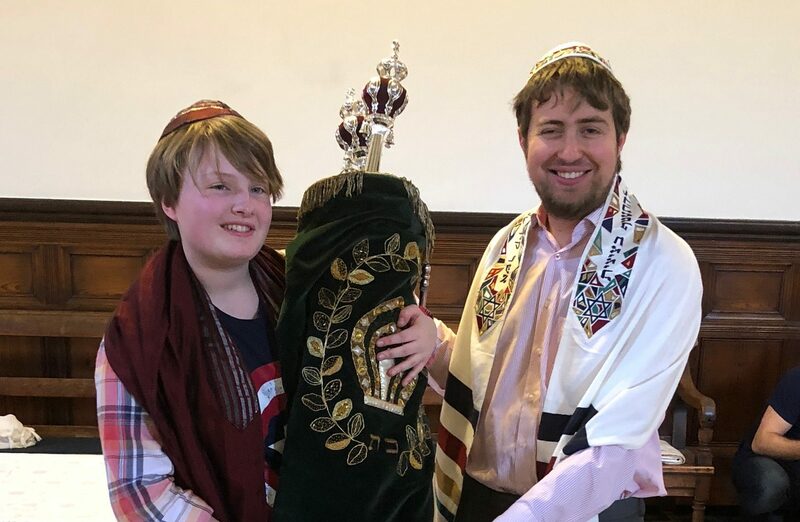 As a rite of passage, the bar or bat mitzvah not only teaches Jewish 13-year-olds how to read from the Torah, but also the importance of mitzvah — performing acts of kindness. A mitzvah project can range from the simple to the elaborate, and with the help of Internet resources and guidance from synagogues, it can be personalized to a b’nai mitzvah’s special interests or to the synagogue’s social justice mission. Areyvut was founded six years ago to address the core Jewish values of chesed (kindness), tzedakah (charity) and tikkun olam (healing the world). Its Web site provides a wealth of ideas for mitzvah projects, with an emphasis on personalization. “We work one-on-one with a student and their family to find something in their area of interest, so it becomes something lifelong,” says Daniel Rothner, Areyvut’s president and founder. Areyvut, which also helps local synagogues and Jewish organizations sponsor mitzvah days, produces a calendar with a different mitzvah project idea every day for of the year. “Just like the pages of the Talmud are learned in a unified, daily manner worldwide, so too should good deeds and acts of kindness be daily events,” Rothner says. Some girls and boys want their b’nai mitzvah project to center around their Torah portion. In addition to their other b’nai mitzvah resources, the Union for Reform Judaism publishes a series of booklets for each parshah. Titled “Torah in Action,” each booklet contains ideas, resources and suggestions as they relate to a Torah portion and its themes for b’nai mitzvah projects. Feldman points to another Torah portion that deals with redeeming people who are captives. The “Torah in Action” booklet suggests a mitzvah project “helping kids who are orphans or helping seniors who are living alone, fighting poverty, fighting hunger and working for economic justice,” Feldman says. Most synagogues provide guidance for children in choosing a b’nai mitzvah project. Some work closely with the students to ensure that the project complements the synagogue’s priorities, while others tailor the project to causes close to the student’s heart. At San Francisco’s Congregation Emanu-El, there is an emphasis on finding projects that are in line with the Social Justice Committee’s mission. Students pick a mitzvah “major” and mitzvah “minor,” which is usually a smaller, one-shot project. 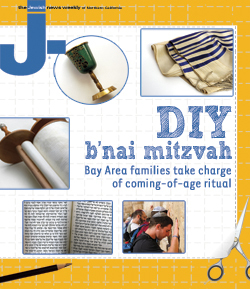 The Bureau of Jewish Education believes the best way to reach students is to work with teachers at synagogues and in the community, and the San Francisco-based agency has a wealth of materials available. 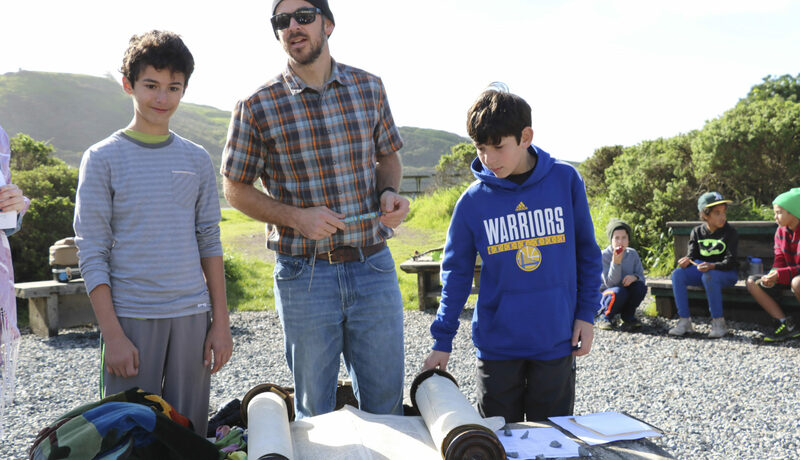 Jaré Akchin, acting director of the BJE’s Jewish Service Learning Project, says mitzvah education has three important components: “The first is what’s called pre-learning, the ‘why.’ What are we here for and what is this all about? We tell you why, what’s happening in this community, and how what we’re going to do is Jewish,” she says. “The second component is the ‘what.’ We’re going to do something based on the learning we just did, so we’re to talk about the Jewish value of Shomrai Adamah — protecting the Earth. We’re going to learn why that’s a Jewish value and go clean up the beach. The idea, Akchin says, is to help b’nai mitzvah students understand the concept of Jewish service learning, which merges community service with Jewish values.